The Cardiology Department at the Hospital of St John & St Elizabeth offers a full range of services for various conditions. The Hospital of St John and St Elizabeth is proud to offer a one stop service that specialises in heart related symptoms and conditions. Book an appointment with one of in-house Consultant Cardiologists and our team of cardiac physiologist will carry out basic diagnostic testing on the same day. Please note some tests may need to be booked in for a later date due to test preparation or limited availability, in particular the stress echocardiogram. The Cardiac Unit at the Hospital of St John & St Elizabeth offers a wide range of non-invasive cardiac diagnostic investigations. The diagnostic service enables our Cardiologists to determine the most appropriate treatment plans for our patients. 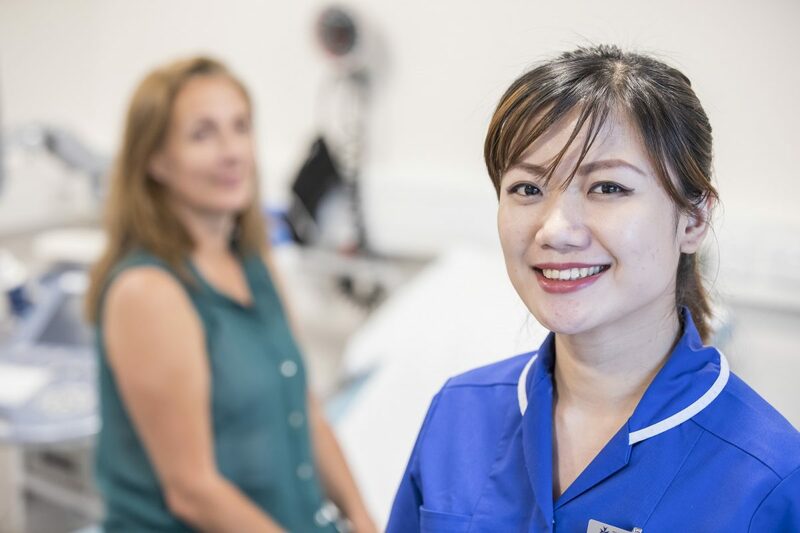 The Cardiac Unit has in-house Consultant Cardiologists who specialise in the management and care of women who are either pregnant and may have a cardiac risk or to women who are trying to conceive and have questions relating to any known cardiac risks. Our Consultant Cardiologists can offer: pre-pregnancy assessment and counselling, consultation and determination of cardiac risk(s) for women who are pregnant, cardiac care for women throughout their pregnancy and individual cardiac-obstetrical care plans for the delivery of their baby. Please do not hesitate to call us today to book an appointment with one of our Cardiologists. Our arrhythmia management service is a highly specialised consultant led clinic accessible to patients with suspected or known heart rhythm problems, patients being considered for catheter ablation or simple / complex cardiac rhythm device implantation (pacemakers, ICDs and atriobiventricular pacemakers). We offer outpatients clinics where patients can have their devices checked and analysed regularly. If you have recently had a pacemaker fitted, please do not hesitate to contact us to discuss your post pacemaker care. We are happy to see patients in our clinics who have had an implantable device (pacemaker and loop recorders) fitted at other centres. Please note that we can only see patients who have a Medtronic, Boston Scientific or St Jude’s pacemaker. The unit offers a highly specialised outpatient paediatric cardiology service for the screening and review of children or newborns with suspected congenital or acquired heart disease. Our heart failure service has a team of leading Consultant Cardiologists who provide assessments for patients with a suspected diagnosis and comprehensive care to those patients diagnosed with heart failure. Our consultants can either be involved with comprehensive care and therapy management or single review visits to deal with specific problems. The Hospital offers an assessment and management service for patients at risk of falls and/or patients who have had recent fall(s) / syncopal events. Our consultants take a multifactorial approaching in assessing and treating patients. We work very closely with other areas in the Hospital; in particular with Neurology and the therapies team. We offer a same day service for the rapid assessment of patients with recent onset chest pain to exclude the possibility of angina pectoris. The clinic is supported by state of the art CT coronary angiography and calcium scoring.